Finance for non-finance people made easy. Finance for Non-Finance Managers is here! Yet, learning what goes on behind the numbers is just as important as the big number itself. Find a course that teaches finance for non-finance managers and you will understand the basics of finance. This will help you learn to ask the right questions and much more feel confident with financial concepts. Our finance for non-finance managers course is called Colour Accounting™. It breaks down the key elements of finance, shows you how finance ‘moves’ around your financial statements and leaves you with a keen grasp of how it all works together. A Colour Accounting™ course can be run in-house and we run public workshops throughout the year. Finance for your non-finance people is accessible. The more senior you get in your career the more important being able to understand financial concepts becomes. Finance is an essential aspect of business acumen and you will want to be sure you can spot trouble before it occurs. A finance for non-finance people workshop will give you the right questions to ask your finance team. It help you digest financial statements quickly and ensure accounting jargon doesn’t catch you out. Learning finance for non-finance people can be fun, interesting and flexible. Our finance for non-finance managers training and our finance coaching give you choices in how learn. Build your confidence once and for all. Our team are standing by to chat through the options with you. Please call 0203 111 9292 or email hello@weareholst.com. Many people find there is a risk with being in a classroom, so you might prefer to learn face to face with a coach. Our finance coaching can be adjusted to suit your need and focus on the issues important to you. The Colour Accounting™ course is used as the basis of your finance session. The material is adapted to your specific needs. Here is some good finance for non-finance manager’s questions you can ask. Next time you sit down you sit down with the people responsible for your financial reporting, ask these two questions. They will see straight away that you’re a little more clued-up than they thought. What steps can we take to improve our Cash Flow? Cash flow is often considered even more important than profit. This is because profit can be manipulated in so many ways, while cash cannot. In fact, profitable businesses go bankrupt all the time, simply because they can’t turn their assets into cash when it matters. On a Colour Accounting™ course you will learn where the money is in your organisation. Almost every transaction a business makes influences its cash flow in some way. With this one tip finance for non-finance managers just became easier. What is the Finance team doing to drive the business forward? A key learning in finance for a non-finance manager is to plan. Accounting and Finance staff are almost always guilty of one thing: looking back instead of looking forward. Are new suppliers being sourced or new systems being researched? Are we looking at new pricing strategies to improve our gross profit? Is the current funding of the business right? What changes are being made on the basis of last year’s results? With their in depth knowledge of your business’s finances, your FD is the ideal person to ask. 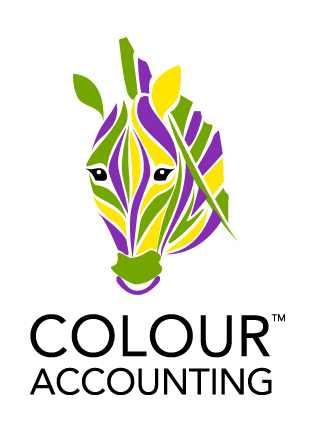 Colour Accounting™ is our finance for non-finance managers course. In just 1 day you can have the confidence and competence to work with your finance experts.